CANIAMBO. HONOR ROLL UNVEILED. (From our own correspondent.) Last Sunday week, the Rev. E. Smith (Methodist), of Shepparton Circuit preached his farewell sermon here to a crowded and appreciative congregation. He also unveiled an honor roll, in memory of the brave boys of the district, who have done so much for their people. 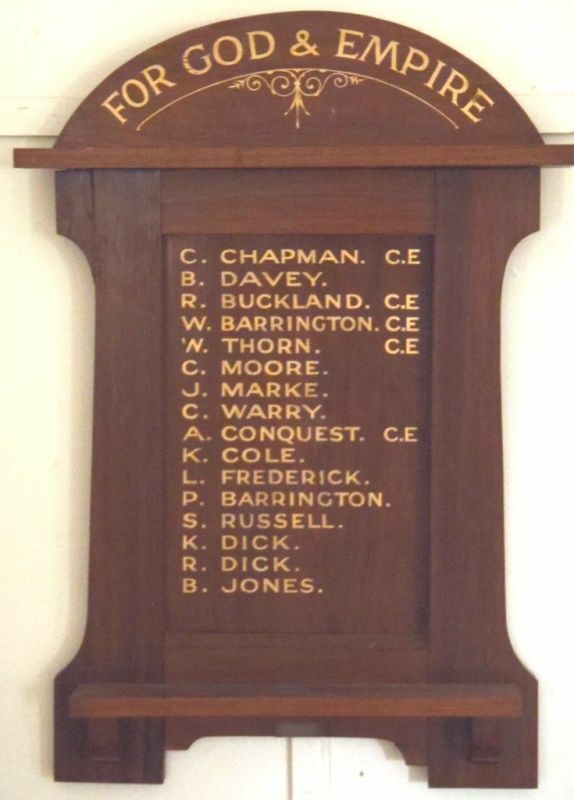 The roll is very neat and handsome and is made of polished blackwood, with the names in gold lettering of sixteen boys, gone on active service, who have been members and adherents of the church, some of them to return no more. Shepparton Advertiser (Vic), 4 April 1918.